Bienvenue à Seaside at Grande Bay Resort! Situé sur la belle St. John, également connu comme le joyau de la U. S. Les iles vierges. Saint John est une île volcanique qui offre des plages de sable blanc, eaux turquoise, paysages de montagnes et des ruines historiques. Le parc national des Îles Vierges englobe plus de la moitié des dix-neuf miles carrés de l'île. Entouré par des récifs coralliens et les herbiers marins, St. John offre une excellente plongée en apnée de la côte ainsi que des excursions de plongée. Si vous préférez faire de la randonnée, il y a plus de vingt sentiers de randonnée entretenus pour votre plaisir. Votre maison loin de la maison à Grande Bay est situé front de mer et offre une vue imprenable sur Cruz Bay Harbor. Prendre le petit déjeuner ou le dîner sur le balcon tout en écoutant le clapotis des vagues de la côte. Pour votre convenance, notre condo peut être réservé comme une unité de deux chambres avec une cuisine complète et deux salles de bains, une unité d'une chambre avec une cuisine complète et une salle de bain ou un studio avec coin cuisine et salle de bain complète. Nous vous proposons trois balcons privés pour profiter du plein air et aussi une terrasse de la piscine partagée avec piscine et bain à remous. La station propose également une salle de sport spacieuse avec de nouveaux équipements (même une machine Pilates!) qui offre une vue sur l'océan. Grande Bay est ouverte 24 heures par jour pour répondre à toutes les questions que vous pourriez avoir ou aider à vos vacances. Avoir l'emplacement de l'être en plein Cruz Bay vous permet de marcher des commerces, des restaurants, des bars et même des plages à votre guise. Nous fournissons également un espace de stationnement réservé dans notre garage couvert et sécurisé si vous préférez louer un véhicule. L'espace de stationnement est réservé à la suite d'une chambre ou lorsque l'ensemble de la suite de deux chambres est louée. Ce ne sont pas disponibles pour le studio suite. Nous savons que vous allez adorer St. John autant que nous! We loved Tracy Pajewski's condos. They were clean, comfortable abd appropriately stocked with necessities. Grande Bay is so convenient to town , having a parking spot saved us so much $, on-sight management is quick and courteous if needed and the views are amazing. One of our fav things to do was to drink our coffee on the porch in the am and watch the boats coming and going. We enjoyed a lot of the North Shore beaches and the restaurants in town were wonderful. I would not hesitate to rent again from Tracy. We absolutely loved it!!! My husband and I shared the 2 BR with another couple and couldn't have asked for a better place. The location and the amenities and services that Grande Bay offers is exceptional! We order groceries ahead of time and they put it in our refrigerator so it was all ready when we arrived. We did a jeep rental and they delivered and picked up directly from our parking spot! Great pool and jacuzzi and gym! Both beds and bathrooms and equally beautiful and the kitchen is equipped with anything you would need for the week! We'll be back soon! Clean and well located but NOT a full service resort. The staff at Grand Bay were not service oriented at all. There was no housekeeping service during our five day stay and we had to make up a bed when we arrived at 1:00 AM. A "greeter" met us at the ferry landing but didn't offer to help us with our six heavy bags, which we had to haul through the streets of St. John after 7 hours of travel. The greeter didn't know where our unit was located so we had to carry our bags in and out of three elevators before she figured out which one it was. Our only other experience staying in the USVI has been the Ritz Carlton residences - the two do not compare! If we come back to stay on St. John, we will choose Caneel Bay or the Westin. Thank you for your review and I apologize that your expectations were not met during your stay in our suite. We do not advertise our property to be a full service resort comparable to the Ritz Carlton in any way. We are a complex of individually owned condominium suites and provide our guests with service associated with that type of property. 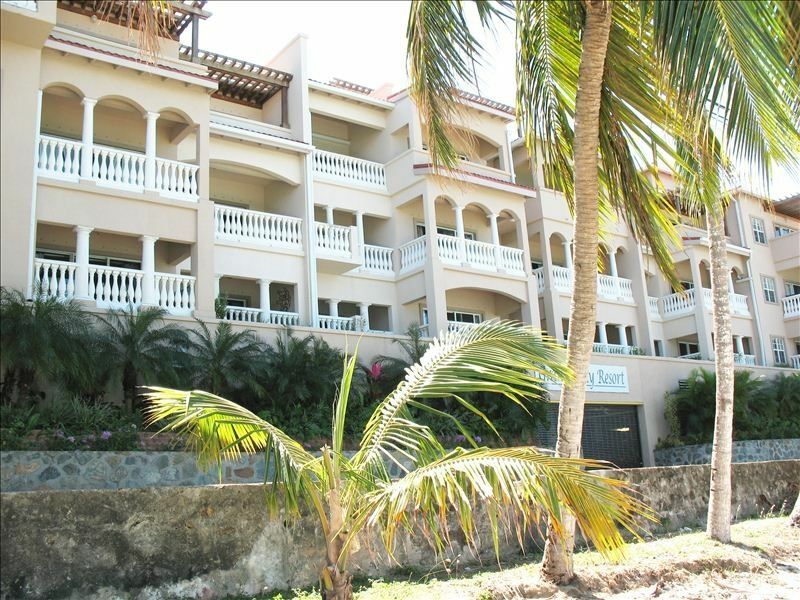 Our suite is clean, perfectly located in Cruz Bay and stocked to meet all our guest's needs. I take pride in making sure all my guests are satisfied with our accommodations and as you may note, I have received nothing but five star reviews. I will apologize that our greeter made a mistake and took you to the incorrect suite as I am sure it was incredibly frustrating after a long day of travel. We wish you a wonderful return to St. John in the future. Seaside takes relaxing to a whole new level! My wife and I have been coming to St. John for several years now. The last two years we have brought the family and stayed at Seaside. The location is perfect if you want to have easy access to downtown. Tracy makes the process so effortless! Seaside has virtually everything you need to make you feel right at home. After a long day of exploring the beautiful island, it's great to have such a wonderful and relaxing place waiting for you! We have stayed at other locations, but Seaside has truly been our favorite. We are already planning our return and can't wait! We were in St.John for a wedding. The location was perfect for shopping, dining, and meeting up with family and friends. The view was beautiful and everything was clean and comfortable. Thanks Tracy! My wife and I have been to St. John three times, and on each visit we have stayed at Grande Bay. This year we asked good friends to join us so the 2BR setup at Seaside worked perfectly. We loved everything about Seaside - the views from the private balconies, the convenient location, the extensive list of amenities, the spacious accommodations, and the friendly staff/landlord all helped make this another memorable vacation. We wouldn't think of staying anywhere else on the island! Nous sommes situés à Cruz Bay et à distance de marche de nombreux magasins, bars et restaurants. We require a signed contract along with a deposit of 50% of the total balance to reserve our suite. Our contract supersedes all other requirements as noted on VRBO.